A new revelation from the Snowden files does open a degree of insight into what has been happening. It's just not the insight that Snowden nor Greenwald may have anticipated. Britain runs a secret internet-monitoring station in the Middle East to intercept and process vast quantities of emails, telephone calls and web traffic on behalf of Western intelligence agencies, The Independent has learnt. The station is able to tap into and extract data from the underwater fibre-optic cables passing through the region. The information is then processed for intelligence and passed to GCHQ in Cheltenham and shared with the National Security Agency (NSA) in the United States. The Government claims the station is a key element in the West’s “war on terror” and provides a vital “early warning” system for potential attacks around the world. “Shared with the NSA”. Hmmm….. Could this be some FISA loophole? Say I send an email from my home in Ohio, to a friend in Saudi Arabia and the UK intercepts that. Can they share that information with the NSA? See, I’m a US citizen and my communication even came from here in the US. So by law that requires a FISA warrant, but it wasn’t our government that did the “tapping”, so it may not require one then. Information about the project was contained in 50,000 GCHQ documents that Mr Snowden downloaded during 2012. Many of them came from an internal Wikipedia-style information site called GC-Wiki. Unlike the public Wikipedia, GCHQ’s wiki was generally classified Top Secret or above. I thought Snowden worked for a U.S. contractor? I wonder how he got all this data on the UK? Does the US have access to this wiki, or did he hack in? Again, a revelation that offers more question. The disclosure comes as the Metropolitan Police announced it was launching a terrorism investigation into material found on the computer of David Miranda, the Brazilian partner of The Guardian journalist Glenn Greenwald – who is at the centre of the Snowden controversy. Scotland Yard said material examined so far from the computer of Mr Miranda was “highly sensitive”, the disclosure of which “could put lives at risk”. 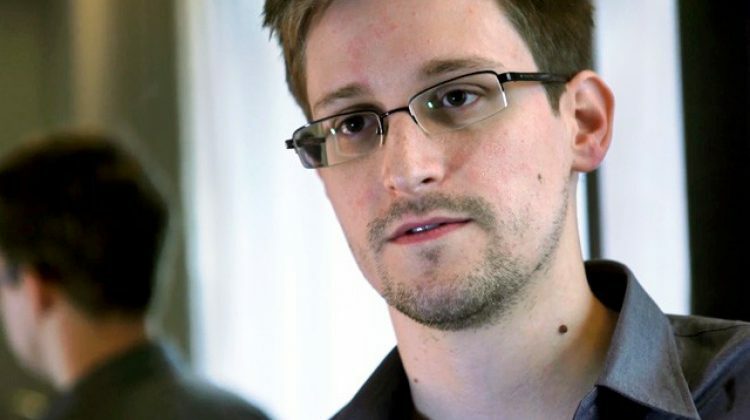 The Independent understands that The Guardian agreed to the Government’s request not to publish any material contained in the Snowden documents that could damage national security. As well as destroying a computer containing one copy of the Snowden files, the paper’s editor, Alan Rusbridger, agreed to restrict the newspaper’s reporting of the documents. The Government also demanded that the paper not publish details of how UK telecoms firms, including BT and Vodafone, were secretly collaborating with GCHQ to intercept the vast majority of all internet traffic entering the country. The paper had details of the highly controversial and secret programme for over a month. But it only published information on the scheme – which involved paying the companies to tap into fibre-optic cables entering Britain – after the allegations appeared in the German newspaper Süddeutsche Zeitung. A Guardian spokeswoman refused to comment on any deal with the Government. Guardian editor-in-chief Alan Rusbridger on Monday night disclosed the remarkable news that UK authorities, several weeks ago, threatened the Guardian UK with prior restraint if they did not destroy all of their materials provided by Edward Snowden, and then sent agents to the basement of the paper’s offices to oversee the physical destruction of hard drives. The Guardian has more details on that episode today, and MSNBC’s Chris Hayes interviewed the Guardian’s editor-in-chief about it last night. As Rusbridger explains, this behavior was as inane as it was thuggish: since this is 2013, not 1958, destroying one set of a newspaper’s documents doesn’t destroy them all, and since the Guardian has multiple people around the world with copies, they achieved nothing but making themselves look incompetently oppressive. So the fears in the government should be there, as it sounds like Glenn is planning on doing just that. Even more fearful for them is the fact that it looks like his employer has no control over it. Need to grab some popcorn because this is going to get even more interesting in the coming days!